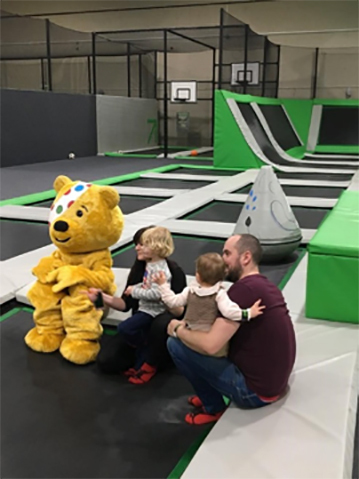 Once every year, the public and businesses alike unite to raise money for ‘Children in Need’. For those who don’t know, ‘Children in Need’ is the BBC‘s UK charity, which, since 1980, has raised over £600 million for disabled and young people throughout the UK. Wanting to do our bit for such a great charity, we at Ascent were determined to raise as much money as possible for this great cause! On Friday 18th November 2016, Ascent played host to a daylong fundraising event which involved a collection of mini games and stalls from face-painting to Keepy-Up Challenges, everyone who came along sure had a ‘fund-tastic’ time! We even had a visit from Pudsey the Bear himself! £2 from ALL open jump admissions! £2 from ALL Beat Night admissions!